President Robert Mugabe yesterday reshuffled Cabinet culminating in several ministers swapping portfolios and two new ones being appointed. The restructuring exercise also claimed the scalp of former Mashonaland East Minister of State for Provincial Affairs, Cde Joel Biggie Matiza who was moved from the government to focus on his new role as Zanu-PF chairperson for the same province. 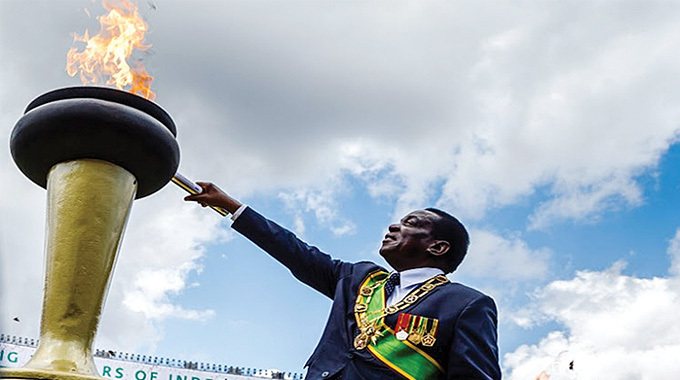 Chief Secretary to the President and Cabinet, Misheck Sibanda made the announcements yesterday at State House after President Mugabe swore in the new ministers. 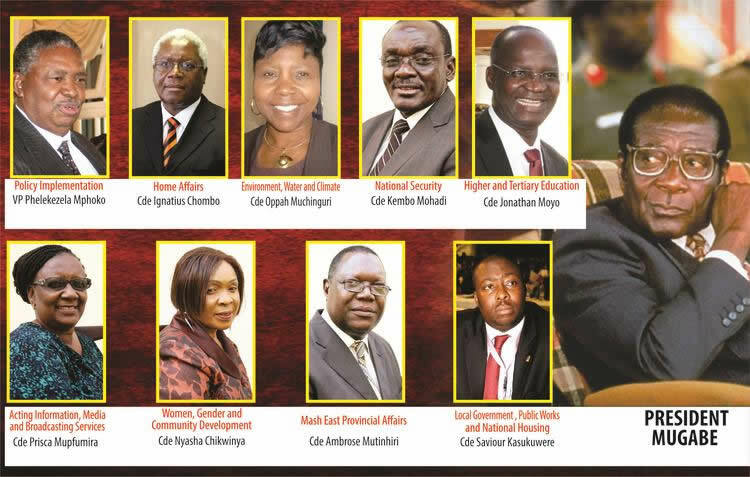 The appointments were made in terms of Section 104 of the Zimbabwean Constitution (Amendment Number 20 Act of 2013). Professor Jonathan Moyo, who was Information, Media and Broadcasting Services minister had his appointment regularised with a reassignment to the Ministry of Higher and Tertiary Education, Science and Technology Development. Prof Moyo, who had been appointed from outside Parliament, had to have his appointment regularised after winning the Tsholotsho North by-election on June 10. Labour, Public Service and Social Services Minister Prisca Mupfumira will be acting minister in the Information, Media and Broadcasting Services ministry. 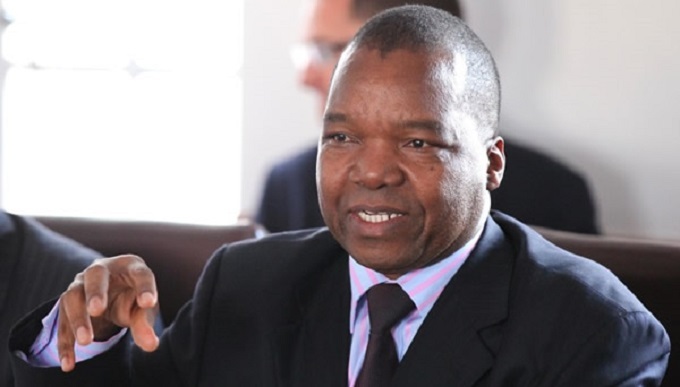 Prof Moyo replaces Cde Oppah Muchinguri who was transferred to the Ministry of Environment, Water and Climate, a portfolio previously superintended over by Cde Saviour Kasukuwere. Cde Kasukuwere is now the Minister of Local Government, Public Works and National Housing, taking over from Cde Ignatius Chombo who leaves local government after 15 years to head the Home Affairs ministry. Former Home Affairs Minister Cde Kembo Mohadi, who was in the portfolio since 2002, is now the Minister of State for National Security in the President’s Office. The Women Affairs, Gender and Community Development portfolio, which had been without a minister since last December, is now headed by Mutare South legislator Cde Nyasha Chikwinya. It became vacant after former Minister Oppah Muchinguri was deployed to the Ministry of Higher and Tertiary Education, Science and Technology Development. Marondera West National Assembly member, Brigadier General (Rtd) Ambrose Mutinhiri replaces Cde Matiza as the Minister of State for Provincial Affairs for Mashonaland East Province. 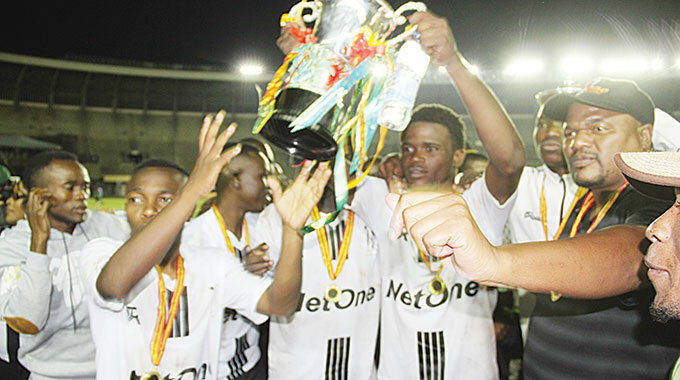 Cde Matiza won the provincial elections held on Saturday. 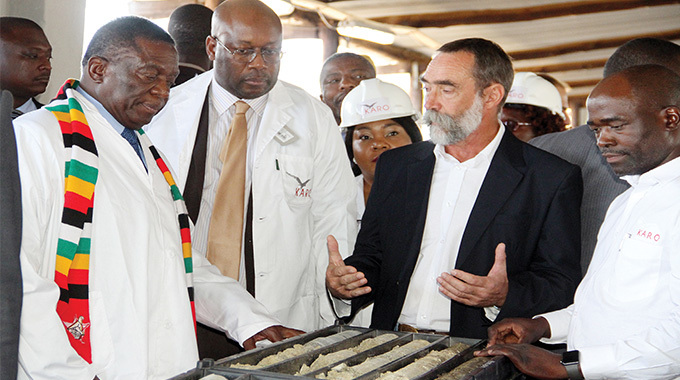 Sibanda said President Mugabe also assigned Vice President Phelekezela Mphoko responsibilities over policy coordination and implementation of government programmes in the Office of the President and Cabinet. 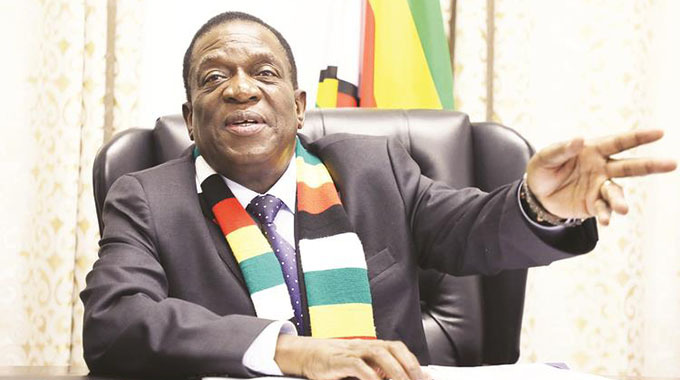 “Information (ministry) for now will remain vacant and I think the appointment will be made in due course and Minister (Prisca) Mupfumira will be acting until a substantive minister has been appointed,” he said. Prof Moyo had his appointment regularised and was sworn in together with Cdes Mutinhiri and Chikwinya. He refused to speak about his recent appointment although his Twitter account was yesterday awash with congratulatory messages. Cde Kasukuwere said his appointment showed the confidence President Mugabe had in him. An elated Cde Chikwinya expressed gratitude to President Mugabe for the appointment. “I’m calling upon women from all walks of life with constructive ideas to come and share them so that we move to a higher level. With women of virtue on one side and Jesus on the other side we will make it,” she said. Cde Matiza welcomed the development saying he was ready to discharge his duties at party level. Cde Muchinguri could not be reached for comment as she is reportedly in Ghana while Cde Chombo was not reachable.